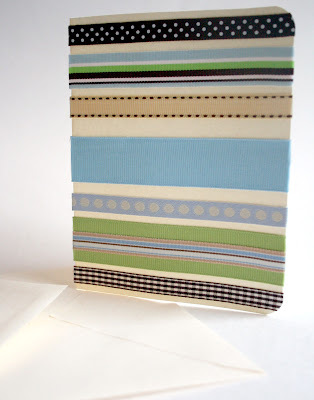 These ribbon greeting cards are great for any type of greeting card! They are super quick to make and you can make a bunch at one time. To make a bunch, all you need are a few spools of ribbon (which you can get at a local craft supply store or Wal-Mart for a fairly decent price) and a set of blank greeting cards and envelopes (which you can also get at a craft store or Wal-Mart). 1. 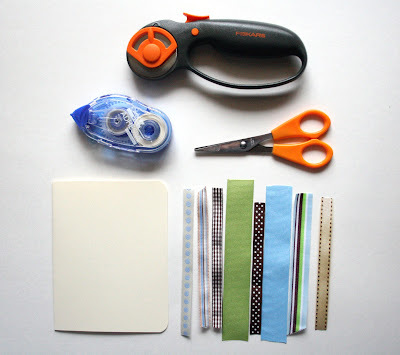 Cut ribbons about ½" longer than width of card (or length, depending on which way you would like your ribbons to run). For example, my card is 4.25" in width, so I cut my ribbons to about 4.75" each. 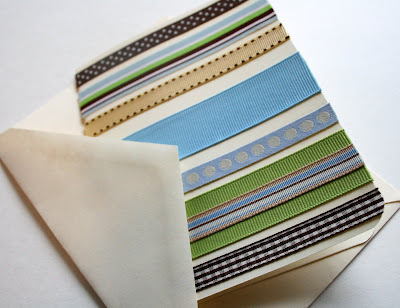 Adhere ribbon to card horizontally or vertically (depending on how you cut them). 2. 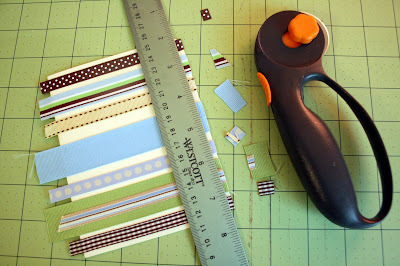 Trim off excess ribbon edges with rotary cutter and ruler or with scissors. Voila! 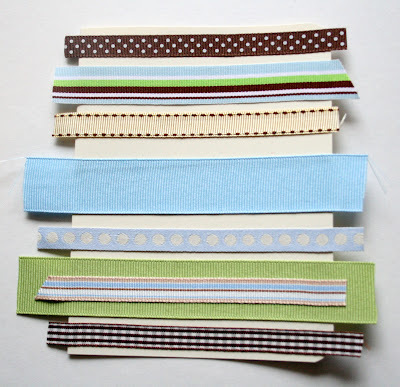 A lovely, easy to make ribbon card! 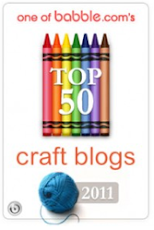 *Holiday hint: Buy Fall/Thanksgiving themed ribbons to make Thanksgiving greetings. Or buy Christmas ribbon to use for Christmas cards! I love those! You should make and sell those in your shop. 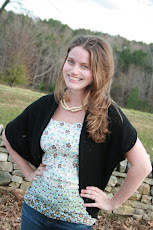 This is super cute and super easy! FAB job Ashley! This is such a great idea and a really good way to use up all the tiny bits of ribbon I have left over from other projects. Love this idea!! I have drawers bursting with ribbons that would be perfect for these cards.. great for the kids to do too!